The presentation titled, “Advances in Technology for Security and Learning in Educational Facilities” will cover topics including mass notification requirements for first responders, how to protect your campus from hacking against access card cloning, and successfully protecting against threats. Attendees will gain knowledge on the potential impact of new first responder communication regulations as well as develop a deep understanding of which new technologies are being implemented most effectively into learning facilities. Jim Otte, NICET IV, is a Data / Fire / Security Specialist at SSOE. 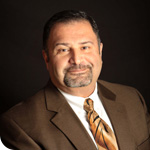 With 25 years’ experience, he specializes in engineering and designing complex educational data, fire, security, sound, and technology systems. His expertise includes commissioning, threat analysis, and quality control. 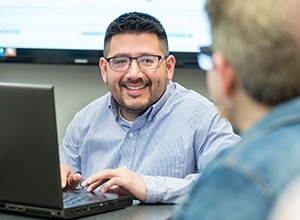 Sonny Hamizadeh, AIA, is an experienced architect and senior account executive focused on developing innovative and cost-effective solutions for higher education clients. With 27 years’ experience, he has expertise in marketing and client relations, project designs and layouts, managing multiple design teams (architects, engineers, interior designers, and technical staff), constructability reviews, and construction administration. The 2013 MAPPA (Midwest Region Leadership in Educational Facilities, formerly known as the Association of Physical Plant Administrators) / MiAPPA (Michigan Chapter) Conference brings together management and decision makers from public and private universities, community colleges, K-12 schools, hospitals, and museums for an opportunity to learn, network, share, and discover best practices and innovative ideas for improving learning facilities. To view a PDF copy of this presentation, click here.